← Sentiment Speaks: How Do You Make Money With A Broken Clock? 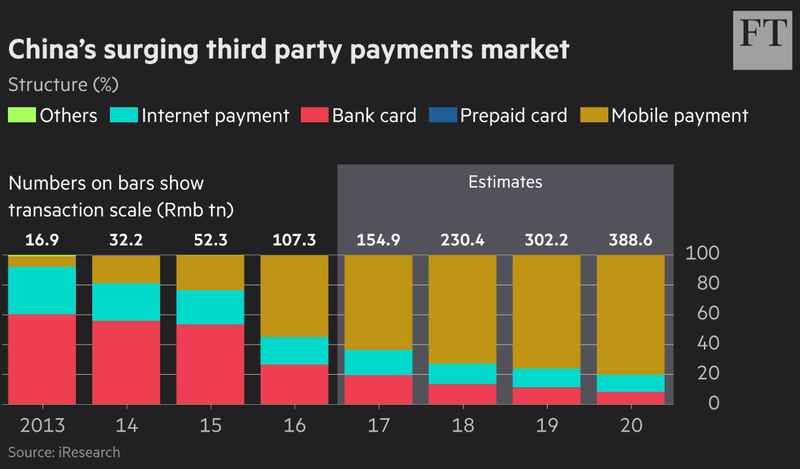 Alibaba’s (BABA) Ant Financial plans to raise fresh funds at a valuation of $ 150 billion, but it faces a number of headwinds. Alibaba recently suffered a setback when Walmart (WMT) dropped Alipay from all its stores in Western China. 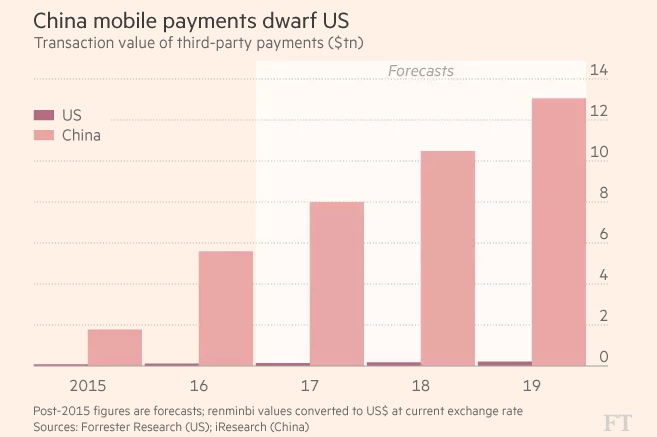 This step could be followed by a nationwide rollout in which all the Walmart stores in China accept only Tencent’s Tenpay. Walmart has 443 stores in China which include 406 Supercenters, 18 Hypermarkets, and 19 Sam’s Clubs. According to a recent disclosure, Ant Financial Services group’s wealth management business has Rmb 2.2 trillion or $ 385 billion of assets under management. It has 600 million users. This makes it the biggest customer wealth management platform in the world. There are other financial products which can be introduced by Alibaba to maximize the potential of its payments ecosystem. If Alibaba is able to retain its market share in this very important segment, we should see huge upside potential for the entire platform and the stock. Alibaba formed Yu’e Bao in 2013 to manage the leftover cash from spending on its e-commerce platform. By 2017, this money market fund had amassed $ 165.6 billion under management. This number is now closer to $ 385 billion according to recent disclosure by the company. The rapid growth of this fund shows the future potential of Alibaba’s financial division and the innovative financial products it can bring to the market. 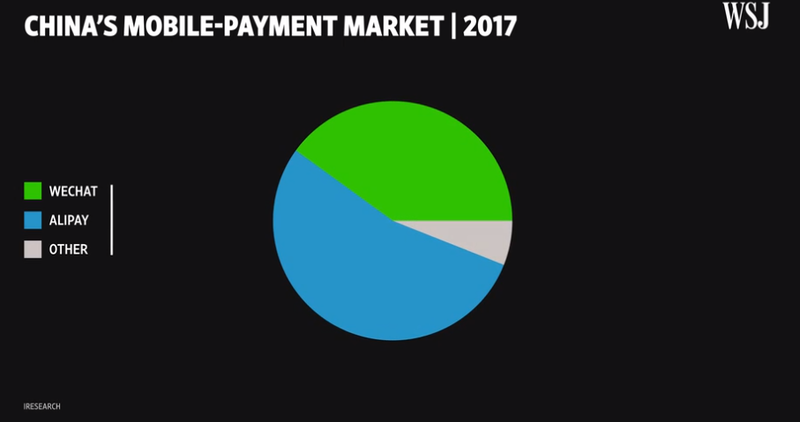 The future growth in these products will closely follow the market share of Alibaba and Tencent within the payments ecosystem. Hence, it has become extremely important for Alibaba to defend its turf and build a strong moat. Alibaba’s “New Retail” initiative was a response to the expansion of Tencent/JD within offline retail. Alibaba has already made some big-ticket investments in brick and mortar stores. These include $ 2.9 billion investment in Sun Art, $ 2.6 billion in InTime and $ 4.6 billion in electronics retailer Suning. In February, Alibaba made RMB 5.45 billion or $ 867 million investment in Easyhome Furnishing for 15 percent stake. This pace of investments should continue for the next few quarters. Some of these are defensive purchases which are made to prevent future acquisition by Tencent.